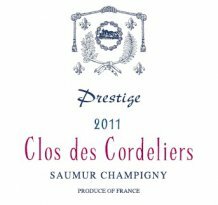 For over three centuries, Le Clos des Cordeliers has been among the most celebrated vineyards in the Saumur area. References to the cultivation of vines at the domain date back to the early 17th century. But it was the Cordeliers de Saumur, the Franciscan monks that acquired the estate in 1696, who gave the place its name and fame. Over the ensuing century, they established the ‘clos’ – the wall-enclosed vineyard – and produced wine that became coveted throughout the region. During the French Revolution, Le Clos des Cordeliers was bought by the family of Madame Amouroux – wealthy owners of Bordeaux vineyards. Le Clos des Cordeliers is one of very few Loire red wines to be included in the 1830s, first-ever edition of Classification des Vins du Monde (A. Julien). In 1932, the Ratron family bought Le Clos des Cordeliers, and in the years that followed, have expanded and modernized the property. 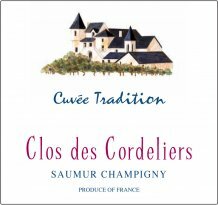 With its award-winning wines, Le Clos des Cordeliers is one of the founding members of the Saumur-Champigny AOC – one of the Loire Valley’s most prestigious red wine appellations. Today, the fourth generation of the Ratron family continues the long tradition of passion and rigor, true to the terroir, and the history and the reputation of Le Clos des Cordeliers. At Le Clos des Cordeliers, the budding occurs early, and the spring frosts are frequent. The entire vineyard is therefore fitted with a protective heating system to ensure the yield is not affected. The barren soil, perfectly drained, extracts extremely delicate tannins from the vines. The yield is managed through manual pruning (Guyot) and controlled weeding between rows to optimize the vine’s vigor and the absorption of excess water. Chemical fertilizers are never used – only natural compost, and depending on the needs of the vines, trace elements. Treatment of the vines is done in accordance with the environmentally responsible, sustainable agriculture concept (“lutte raisonnée”). The south and southwest exposure of the vines produces naturally healthy grapes, further enhanced by carefully performed de-leafing, trimming, debudding and cluster-thinning, using manual, as well as mechanical methods. The harvest is entirely manual. Mechanical harvest is simply too aggressive for the 40-year-old vines making up most of the vineyard. Indeed, at Le Clos des Cordeliers, we put our trust in the experienced hand of the fruit-picker and a meticulous secondary table-sorting to ensure that only the healthiest and ripest grapes are selected. Originating from vines planted on clay and chalk (tuffeau) soil, this wine offers the distinctive character of Cabernet Franc: deep and bright ruby color, fine aromas of red fruits (red current, cherry) and floral subtleties (violet, iris), fine and velvety tannin, with a fresh and balanced finish. Best served below room temperature (14 to 16º C), Clos des Cordeliers Cuvée Tradition is at its prime when young and is the perfect companion for cold meats, roasted meats, grilled fish and cheese. Maceration and Fermentation: Before reaching the stainless steel maceration tank, the grapes are fully bunched and de-stemmed. Peel maceration takes place at low temperatures extracts maximum aromas and lasts between two to four days, depending on the wine being produced. Fermentation takes place with the aid of the natural grape yeast and under strict temperature control, in order to preserve the aromas, attain maximum color and optimal tannins. During the fermentation stage, which lasts 12–24 days, regular racking (remontage) takes place to ensure the gradual and consistent extraction of aromas and structure. Aging: Aging occurs in stainless steel containers for nine to 18 months on fine lees. During this period, the wine goes through aerations and clarifications by racking, thus slowly and gently removing solid matter while aiding the gradual development of color and structure. Before bottling, the wine goes through light filtering. The wine is bottled on the estate and the bottles stored in ideal conditions — humid, underground caves where temperatures of 50 to 57°F are maintained year-round. The Cuvée Prestige from the Clos des Cordeliers comes from CABERNET FRANC vineyards planted on a lake limestone soil called ”Pierre de Champigny” in the South/South West. This soil gives this cuvee an exceptional aging potential in the SAUMUR-CHAMPIGNY area. This wine has an intense ruby color with its aromas of wall grapes, black fruits and spices. In the mouth, this wine offers a complex minerality with fruity and spicy notes. The finish is silky on subtle and elegant tannins. A slight noble deposit may appear. It is natural and without consequence on the quality of the wine. VINIFICATION: Manual harvesting, 2 sorts on the table. Mechanical work of the soil. FOOD PAIRING: This wine goes particularly well with game, meat or cheese. We invite you to open this bottle a few hours before the tasting. The use of a carafe is also strongly recommended.